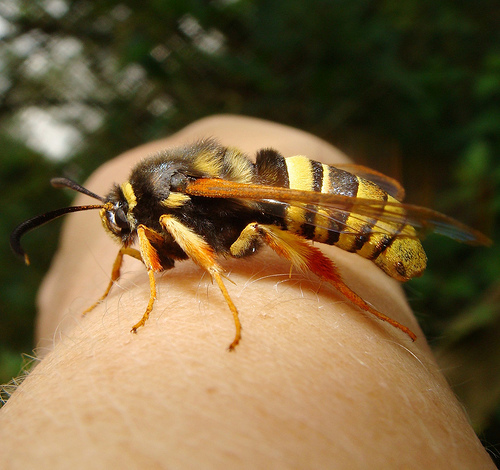 Kari LikeLikes: This is not a Bee - It's a Hornet Moth! This is not a Bee - It's a Hornet Moth! It's harmless, but holy crap that thing is huge and scary looking!